Guesthouse Lemon - Plac Dabrowskiego 3 ... We were a group (2 teachers and 10 students) from the University of Lisbon - ISLA. At first we were a little bit sad that we weren't at the center of Krakow but after all that wasn't a problem any more and we liked it very much! NOTE: Starting at 1. 12. 2010 the name has been changed from Arkady Guest House! 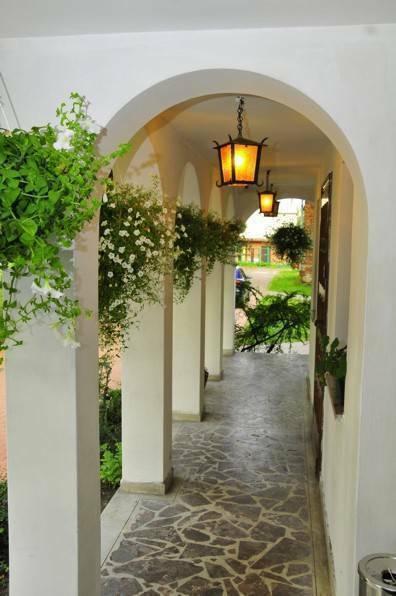 We offer an inexpensive accommodation in very beautiful house in area of Wola Justowska which is popular, picturesque and peaceful part of Krakow, only 4 km from city center. 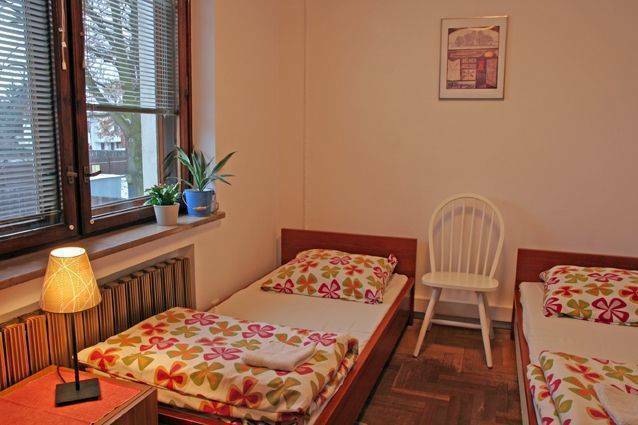 We can accommodate 64 people both in private rooms: single rooms, doubles, twins, triples and quads as well as in comfortable dormitory rooms. Internet access, laundry service (washing machine with dryer), access to a fully equipped kitchen compartment , sociable atmosphere. 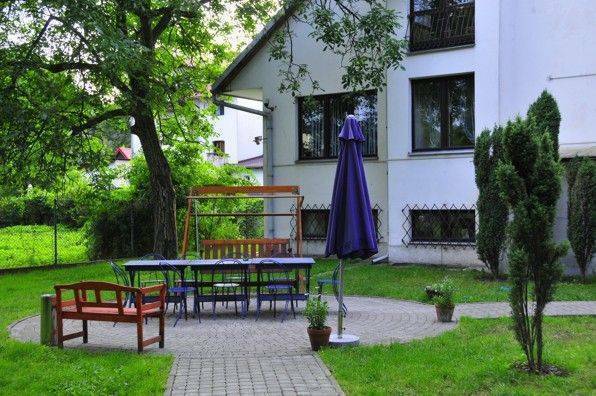 Arkady Guesthouse is great starting point for a trip to the Salt Mine in Wieliczka, Auschwitz, Wadowice or Ojców. You can book a trip to Auschwitz, Wieliczka and other places of interest at the reception. The tours are all with English speaking guides and mini buses picking you up from the hostel. We will tell you what is worth visiting, where to eat and where to party. Come and enjoy Kraków's abounding attractions! Kraków has traditionally been one of the leading centres of Polish scientific, cultural and artistic life. As the former national capital with a history encompassing over a thousand years, the city remains the spiritual heart of Poland. It is a major attraction for local and international tourists, attracting seven million visitors annually. Famous landmarks include the Main Market Square with St. Mary's Basilica and the Sukiennice Cloth Hall, the Wawel Castle, the National Art Museum, the Zygmunt Bell at the Wawel Cathedral, and the medieval St Florian's Gate with the Barbican along the Royal Coronation Route. In 1978 the UNESCO added Cracow's Historic Centre, which includes the Old Town, Kazimierz and the Wawel Castle to the list of World Heritage Sites. Discounts for Euro 26 holders, children, groups. 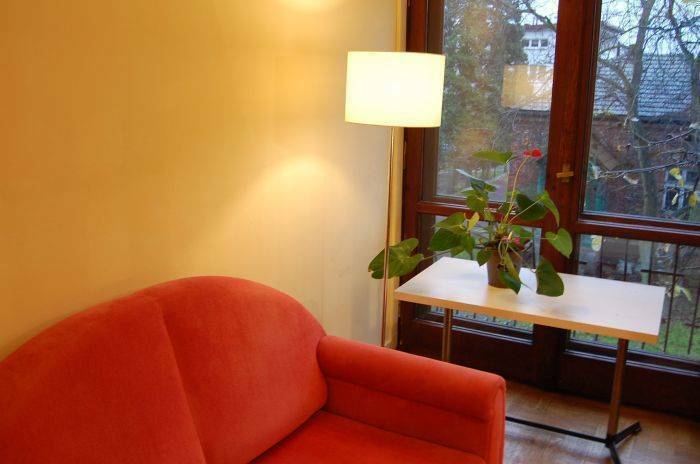 Arkady Guesthouse is located in a very beautiful house in area of Wola Justowska, which is popular, picturesque and peaceful part of Krakow, only 3500 m from city center. Just around the corner there is bus stop. You can easily get bus to city center or to Balice Airport.